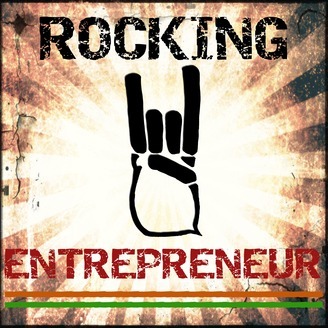 The Rocking Entrepreneur Podcast | Startup Stories | Indian Entrepreneurs | India | Entrepreneurship | Startups. Rocking Entrepreneur is created for today’s entrepreneur whether you have just started your journey as an entrepreneur/founder/small business owner OR are a serial entrepreneur. Are you ambitious and crafting your next upstart or startup? Then there is no greater place to get quality information and education than The Rocking Entrepreneur. You don’t need to go to business school. You don’t need a Harvard degree. You don’t need to know celebrities. And you don’t need to have a lot of money. You need to learn from the leaders of the modern business era in Stories from The Rocking Entrepreneur Podcast! If you are looking for inspiration, motivation, and actionable advice during your daily routine whether it be your daily commute, workout, me-time, or bored office time then you have come to the right place. Each episode brings you a successful entrepreneur who will share their journey. The ideas and stories you will hear are so powerful that hearing them will change your life! We interview all sorts of entrepreneurs: hard to reach entrepreneurs, business founders, the most successful entrepreneurs in the world, thought leaders, celebrity entrepreneurs, entrepreneurs from India and all over the world, and hidden gem entrepreneurs that you may have never heard of. We ask them: what steps they use to become successful, their personal journey of business ownership, personal habits that help with success, computer resources, attitudes, attributes, automation techniques, financial wisdom advice, processes, failures, critical lessons learnt, actionable strategies, productivity, life-hacks, growth hacks, overcoming walls and hurdles, overcoming hardship, their greatest successes and failures, what exactly does it take to become an entrepreneur? Why this podcast? Because I will ask ALL of the questions you want answered with regards to becoming an extremely successful entrepreneur/ business owner: How do I get more customers? How do I scale my business? I don’t know where to start? How did this person get millions of customers? How did this personal make millions of dollars? How did this person have such a massive impact on the world? 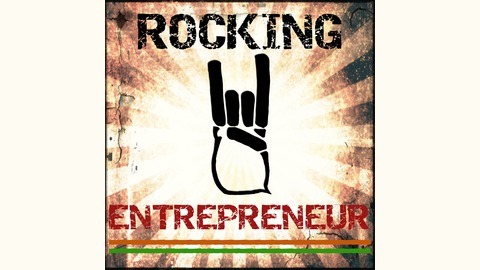 Tune into The Rocking Entrepreneur Podcast and don’t miss out! 1) Subscribe to this Podcast. 2) Turn on automatic downloads. 3) Enjoy every new interview for FREE. 4) Go to repodcast.com and g.
Amar Vyas is an author, speaker, a fellow podcaster and an entrepreneur. He has written three released books so far and several others releasing very soon. He is also the voice behind some of the very popular indian podcasts - My Kitaab and and recently Baalgatha, both of which have received widespread popularity. He also started a digital media company called Kamakshi Media, which does custom podcasts for businesses. I am so excited here to have him here today and discuss about podcasting in India - the challenges, opportunities and his journey. In this episode, we talk about: How Amar got into podcasting Is this the right time to jump onto the podcasting bandwagon? How the first podcast: My Kitaab came about Conversational vs. monologue format for podcasts - which might be better? Once Amar decided to podcast, how did he go about starting it How much time does it take to produce one episode The biggest learning Amar had from his first podcast - and a lot of podcasters make it too How to find out what your audience is interested in hearing? How Amar boosted his followers by doing less work Can podcasts fail? YES - listen to Amar talking about how to identify if your podcast is failing How Amar used WhatsApp to test the market for his popular podcast Baalgatha What does a week in the life of a full-time podcaster looks like? How easy is it to make money for a podcaster Why should businesses start a podcast of their own Podcast Karo: Starting a Podcast is not easy – we get it. At Podcast Karo, we squeeze out the secrets and behind-the-scenes on what it takes to make a successful podcast. Learn from the Pros and rock your podcast. Visit PodcastKaro.com to start and rock your Podcast! Like this episode? Then please leave a review on iTunes. Ratings and reviews are extremely helpful and greatly appreciated! They do matter in the rankings of the show, and I make sure to reach each and every review. Have some feedback you’d like to share with Tushar? Click on the contact and drop a note A huge thank-you to Amar Vyas for joining me for this amazing episode. Until next time, Keep Rocking!